Welcome to my yoga website! I’m Roxanne Halpine Ward, a yoga teacher, writer, and editor in the Philadelphia area. Due to the other obligations in my life right now (a demanding full-time job and an equally demanding small child), I’m not currently teaching yoga very often – but I’m happy to be teaching once a month at my town’s community center, and hope to do more teaching soon! In the past, my yoga blog has chronicled my journey as a new yoga teacher, a new mom, and a person still constantly growing and learning. Most of my posts have been related to yoga and wellness, including physical postures, health, fitness, meditation, spirituality, food, and finding calm, peace, joy, and balance in a busy world. I hope to come back to regular blogging again in the future, but in the meantime, I hope you will enjoy the posts in my archive. If you are new to yoga and would like to learn more, please check out my series of posts about yoga for beginners. I firmly believe that yoga can be for every body – everybody! – and hope to see you in class soon. I’ve been collecting links for a while, so here’s a link round-up! A Selection from the Hammer Museum at UCLA’s Contemporary Collection: Katie Grinnan’s Mirage: To create this fascinating sculpture, Grinnan “cast multiple molds of her body executing a sun salutation”. I find the piece exhilarating, exciting, and also a little creepy. The Strength-Building Yoga Pose That Tons of People Do Wrong: Related to sun salutations, I love this informative video from superstar yogini Kathryn Budig on how to chaturanga properly without hurting yourself. Bending the Rules to Offer Yoga With a Beer Chaser: My father-in-law sent me the link to this NYT article about yoga classes in breweries, offering a beer tasting after class. While I love both yoga and craft beer, I’m really not sure how I feel about this. I find that yoga, like running or dancing or working out, makes me feel fresh and healthy and connected to my body; afterwards I typically want a glass of water, a banana, a salad, a smoothie. I just don’t feel like beer would taste right after a yoga practice – but believe me, I’d try it! And I think it’s fantastic that classes like this are leading people to yoga and helping them build a practice that can extend beyond the brewery. 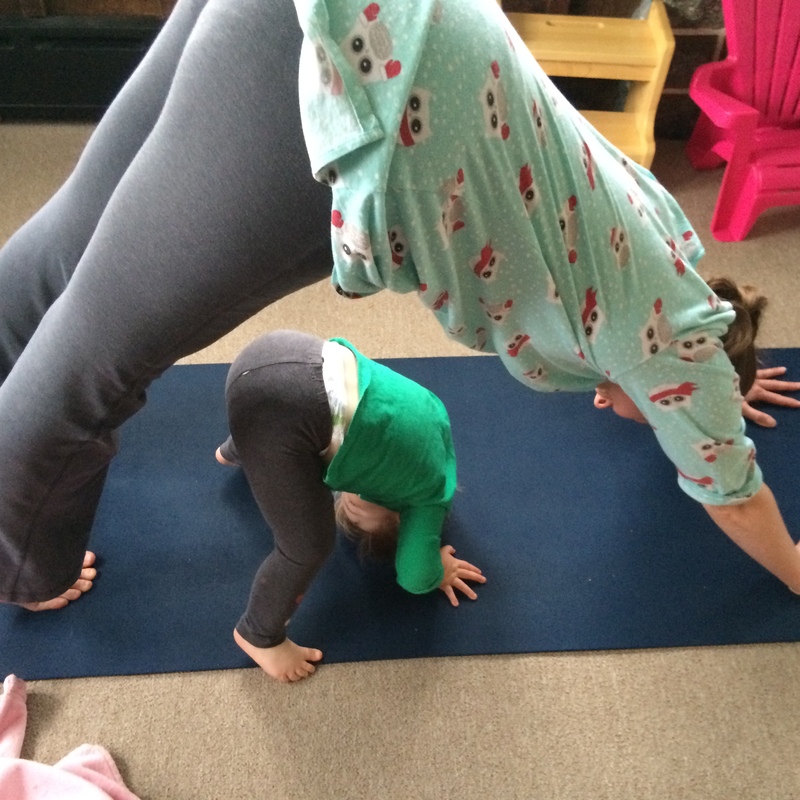 Yoga Every Damn Day: My husband sent me the link to this piece about how, when we’re dealing with other issues in our lives and can’t make it to the yoga mat, we’re still practicing yoga every damn day. I don’t know Angela Arnett but I admire her strength and calm in this piece. Pope Francis Reveals Secrets of Happiness: Can I tell you how much I love Pope Francis? He seems to be so full of kindness and peace, focused on loving and helping and supporting people. Everything he lists here is also discussed by Matthieu Ricard, former scientist and Buddhist monk, in his book Happiness, and seems to be in agreement with everything I’ve ever heard or read from the Dalai Lama, including the concepts discussed in The Art of Happiness. When the Catholic Pope and the Dalai Lama agree about how you should live your life, I feel like there’s something right happening. And finally, for your giggle for the day: Men in Yoga Pants. I just realized I never posted the second yoga class mix I made (and I posted the first one over two years ago – although I’ve done mixes for my holiday classes, I really have only planned two mixes for regular full-length yoga classes since I finished my teacher training. But you know, it’s been a busy few years!). I really like this mix because I’ve worked in some songs that don’t come from the typical “yoga” milieu. This mix has been working well because it’s a little longer that the other one I made; my class at Wellness on Park was an hour and 15 minutes, so this filled the time nicely. 1 Baba Hanuman 13:59 Krishna Das Breath of the Heart Krishna Das, always a favorite. I like this one as a class-starter because it has a nice, easy, regular beat to warm up to. 2 Jahta Dance 4:16 DJ Drez Jahta Beat – The Progression And then with DJ Drez we start kicking into a higher gear. 3 Drop 4:53 Cornelius Point I love this song – it’s basically a remix of water noises you can dance to. So much fun. 4 Three 3:49 Massive Attack Protection A great song to keep the energy moving. 5 Runaway 5:06 Beats Antique Blind Threshold A friend turned me onto Beats Antique. She loves them because she’s a belly dancer, but I think their music works beautifully for a yoga class! 6 Raghupati 5:38 Bhagavan Das Now A good solid beat for standing practice. 7 A Higher Place 4:31 Röyksopp Melody A.M. Röyksopp is an electronic music duo from Norway whom I discovered when I was living in Boston several years ago with much cooler people than I am. I thought the beat of this song and the title/lyrics fit well for a yoga class. 8 Devi ‘Rave’ 4:29 Krishna Das Pilgrim Heart More Krishna Das – this one really gets you moving! 9 Nataraja 15:06 Jai Uttal/Ben Leinbach Music for Yoga and Other Joys And here we start slowing it down. The perfect song for transitioning through the last standing poses, through the balance pose (ideally: dancer pose, natarajasana!) and to the floor. 10 The Greatest Gift of All 4:32 Lotus Lotus This song can work well for seated poses or for savasana if you get there early. 11 Gayatri Mantra 9:49 Deva Premal The Essence I love Deva Premal’s version of the Gayatri Mantra! I think it’s a great savasana song. 12 Bliss 6:59 Yogini Putumayo Presents Yoga And one last savasana song, just in case. Also a good one for winding down the class if you like to keep the music running while people are rolling up their mats and getting ready to go. 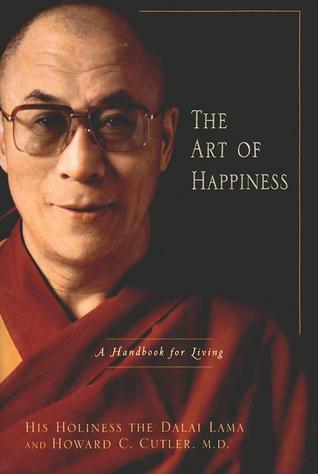 The Art of Happiness: A Handbook for Living is based on conversations that Howard C. Cutler, MD, a psychiatrist, had with the Dalai Lama over several years. The author’s introductory note states that the purpose of the book was to collaborate “on a project that would present the Dalai Lama’s views on leading a happier life, augmented by [Cutler’s] own observations and commentary from the perspective of a Western psychiatrist” (ix). Each part except for Part V is comprised of three or four chapters discussing related topics. Cutler will often introduce a topic by giving a brief overview of the Dalai Lama’s thoughts, then will delve into the psychology behind the issue before returning to H.H.’s viewpoint and suggestions for dealing with the issue. Overall I feel like Cutler succeeds in meshing the sometimes very different viewpoints of Tibetan Buddhism and Western psychiatry, and I enjoyed the stories that both of them had to offer, but there were times when Cutler just didn’t seem to get what the Dalai Lama was saying and vice versa. In those instances, I was more interested in hearing the Dalai Lama’s viewpoint and just wanted Cutler to stop harping on whatever it was already, but overall this was pretty rare; I tended to enjoy both viewpoints. “When talking about eliminating negative states of mind, there is one point that should be born in mind. Within Buddhist practice, the cultivation of certain specific positive mental qualities such as patience, tolerance, kindness, and so on can act as specific antidotes to negative states of mind such as anger, hatred, and attachment. Applying antidotes such as love and compassion can significantly reduce the degree or influence of the mental and emotional afflictions” (239). This passage comes in Part IV, Overcoming Obstacles, in Chapter 12, Bringing About Change. This view fits in so well, to me, with Patanjali’s words in Sutra II.33: “When disturbed by negative thoughts, opposite [positive] ones should be thought of.” I was really impressed and excited that Buddhist thought on this topic meshes so nicely with the yoga sutras. The Dalai Lama’s wisdom is practical and straightforward; you can tell that he himself practices the same techniques he recommends. The book also includes instructions for several meditation practices (like this one), written in the Dalai Lama’s own words from transcripts of his talks. These are scattered throughout the book, as this isn’t intended as a meditation manual, but it’s nice that they’re included in places that make sense thematically. Overall, I really enjoyed the opportunity to learn more about the Dalai Lama, one of the holiest and most revered people alive today, and to understand his perspective, his kindness, and his compassion. I taught a Mother’s Day class! Well, not on actual Mother’s Day, it was during my usual Tuesday class time – but it was a class designed for moms, with lots of fun partner poses for moms attending with their offspring (although offspring had to be at least 12 or older – that would have been an entirely different sort of class). It was a small class, but a lot of fun! And here’s the playlist I created for the class. I tried to include music with a lot of feminine energy, both specifically mother-related and just general girl power tunes; I pulled from both my yoga music collection and pop music. I was pretty happy with the overall playlist – my only sadness is that I made it long enough that I wouldn’t have to worry about running out of music, but instead there were great songs we didn’t get to! 1 Ong Namo 10:03 Snatam Kaur Grace I’ve only just discovered Snatam Kaur. This is a nice light song for the minutes before class begins. 2 New Beginning 5:33 Tracy Chapman New Beginning I like the idea of Tracy Chapman kicking off a yoga class. 3 Sons and Daughters 5:18 The Decemberists For obvious reasons. 4 High on a Mountain Top 2:42 Loretta Lynn Van Lear Rose Loretta Lynn has a great spoken-word song on this album about her mother, poor and desperate, stealing a pair of red shoes for her when she was a little child. A spoken-word song wouldn’t work for a yoga class, but that’s what made me think to pull a Loretta Lynn song for this class. 5 Holiday 4:06 Madonna The Immaculate Collection Because Mother’s Day is a holiday! 6 Girls Just Want To Have Fun 3:56 Cyndi Lauper The Essential Cyndi Lauper For obvious reasons. 7 Ice Cream 2:36 Sarah McLachlan The Freedom Sessions What Mother’s Day would be complete without ice cream? 8 Comptine d’un autre été : L’ap 2:21 Yann Tiersen Amélie Soundtrack Because Amélie is one of the girliest movies I’ve ever seen, but without being trite or predictable. 9 32 Flavors 6:07 Ani DiFranco Not A Pretty Girl More ice cream. 10 Never Knew What Love Meant 5:22 Lotus Lotus A yoga album, but it felt appropriate. 11 Harbor 4:24 Vienna Teng Warm Strangers One of my all-time favorite songs. When I listened to it in the context of a mother-child love rather than a romantic love, I got all teary. 12 Dante’s Prayer 5:25 Loreena McKennitt Live in Paris and Toronto (disc 1) I thought Loreena would be a good pick to include, and this is a light and beautiful song (although I could do without the 30 seconds of people clapping at the end of the live track – but the studio version has monks chanting, which didn’t feel right for Mother’s Day). 13 River, Run 3:46 Suddenly, Tammy! (We Get There When We Do.) My favorite obscure band! Love this song. 14 Beloved 7:05 Anoushka Shankar Rise A great yoga song. 15 True Colors 3:48 Cyndi Lauper The Essential Cyndi Lauper I had to include this one. I often sang this to my YB when she was a tiny baby. In this class, this ended up being the savasana song, which I liked. 16 Green Island Lullaby 3:17 Vienna Teng Warm Strangers This is just a lovely lullaby, in Teng’s family’s native Taiwanese. 17 Yemaya Assessu 3:34 Deva Premal The Essence I love Deva Premal’s version of the Gayatri Mantra, but this is a lighter, less serious chant. Friendly-like. 18 Bliss 6:59 Yogini Putumayo Presents Yoga The final song on the excellent Putomayo yoga collection. I included it here just in case I was running out of music and needed a little more for savasana. Apparently I needn’t have worried! 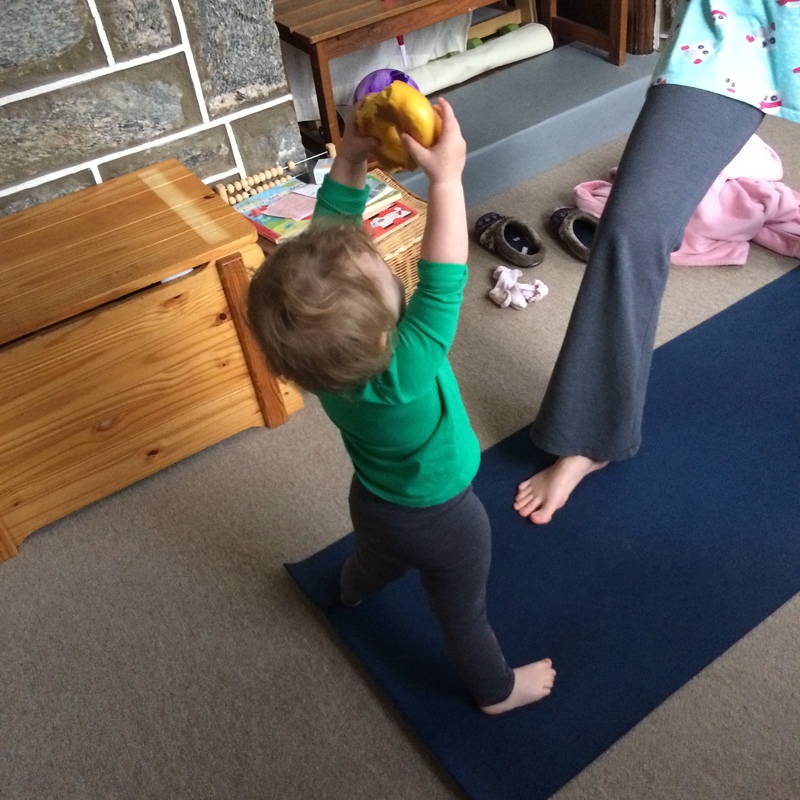 I have two yoga teaching updates today! First, I’ll be teaching a special Mother’s Day yoga class at Wellness on Park on Tuesday May 13 at 7:30pm, full of fun partner poses and a music playlist powered with feminine energy! Moms, grandmas, and anybody who loves one are welcome (participants should be age 12 and up). Best of all, all moms pay only $5! Secondly, I will be leaving Wellness on Park in order to spend more time with family and on my own yoga practice. My last class will be Tuesday May 20 at 7:30pm. I hope you’ll come out to make it a good one! 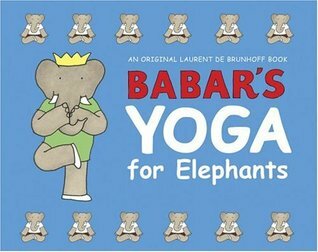 When I come back to teaching yoga sometime in the future, I’ll be sure to make an announcement here. Until then, I’m looking forward to seeing what the next yoga adventure will be.